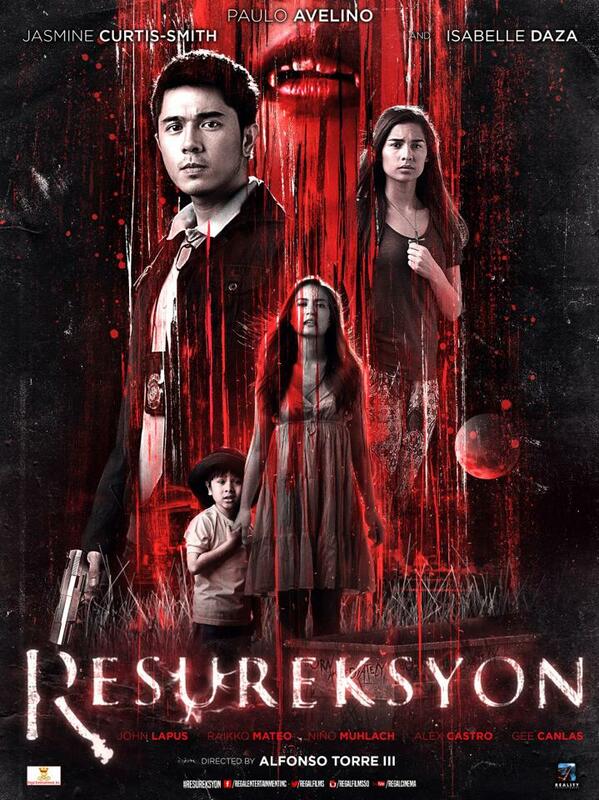 Regal Entertainment Inc., has recently released its latest horror flick online starring Paulo Avelino, Isabelle Daza, and Jasmine Curtis-Smith, entitled "Resureksyon (Resurrection)". The story is a modernized tale of the fate of some Overseas Filipino Workers. The movie trailer for "Resureksyon" has a lot of potential to become a success in the box office --- the texture, the graphics, the cinematography, and even the artists --- are simply great to watch! I like how the idea of the overly used plot of vampires has gotten a new twist to Filipino settings. Let's just see how this movie works. "Resureksyon" also stars Raikko Mateo, Nino Muhlach, Alex Castro, Gee Canlas, and John Lapus. The movie is directed by Alfonso Torre III. "Resureksyon" is showing on September 23, 2015 from Regal Entertainment Inc. Watch the full movie trailer of "Resureksyon" below.